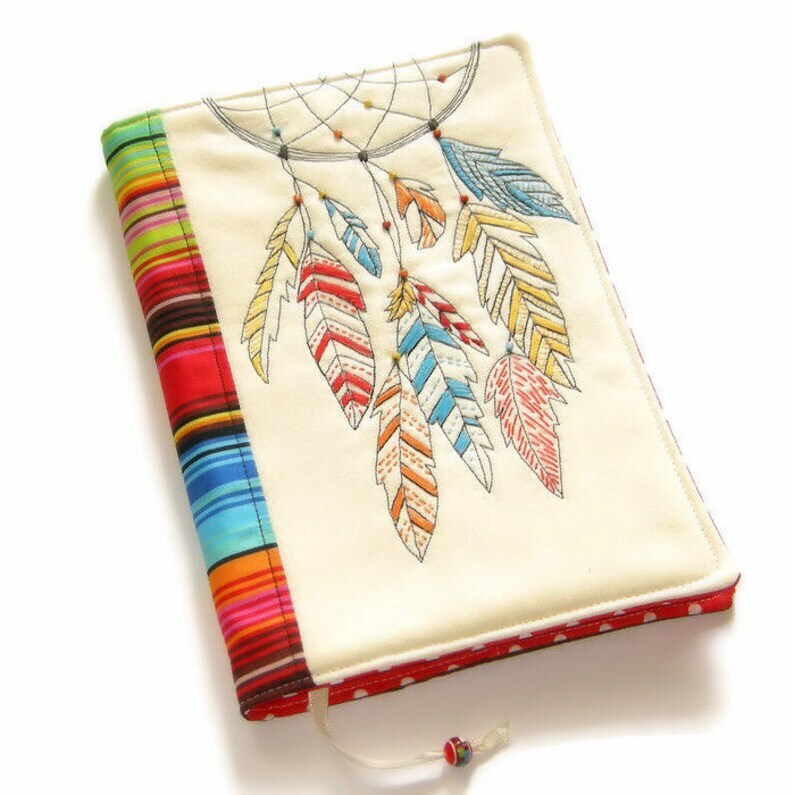 Colorful handmade fabric book cover with embroidered dream catcher made of cotton fabrics, decorated with glass beads. The cover is machine-sewn and hand stitched. All the different colors on the feathers are hand embroidered. Only 1 left! For A5 book size or smaller. Amazing work and awesome to do business with!!! !